When you look good, you feel good and when you feel good you excel... that’s what Oliver Harvey’s range of British Tailored Chef Jackets will provide for you. We’ve spent years in design and fabric development to bring to market a truly exceptional range of Chefs Jackets that will not only perform under the most extreme conditions but will also look stylish at just the right price. 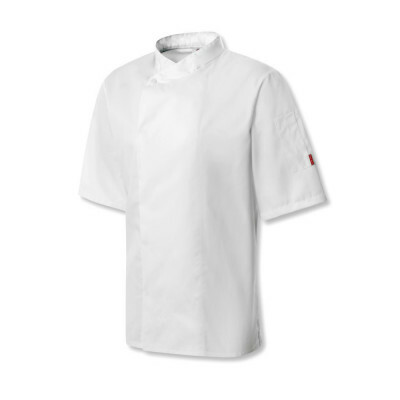 A Premium Short Sleeved Chef Jacket. 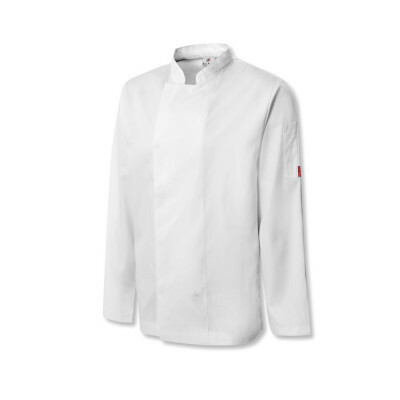 A Premium Long Sleeved Chef Jacket. 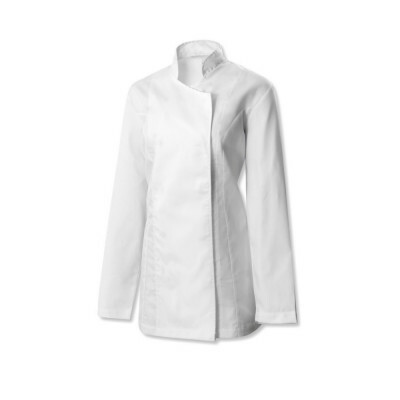 A Premium Short Sleeved Ladies Chef Jacket. 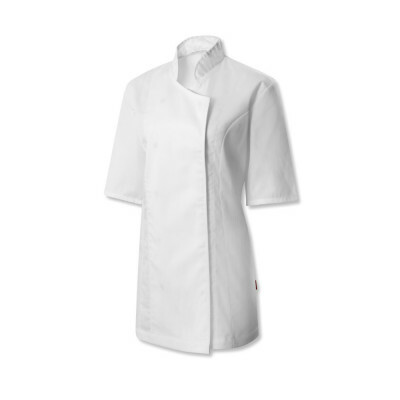 A Premium Long Sleeved Ladies Chef Jacket. A Premium Short Sleeved Chef Jacket With Coolmax Back Panel. 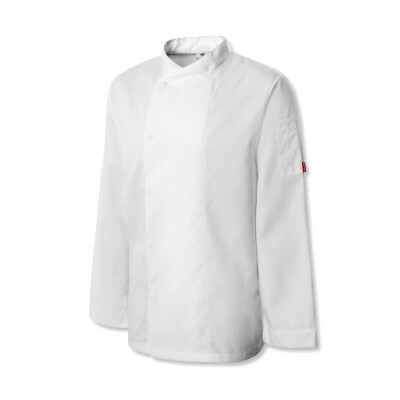 A Premium Long Sleeved Chef Jacket With Coolmax Back Panel. A Premium Short Sleeved Chef Jacket With Coolmax Side Panels. 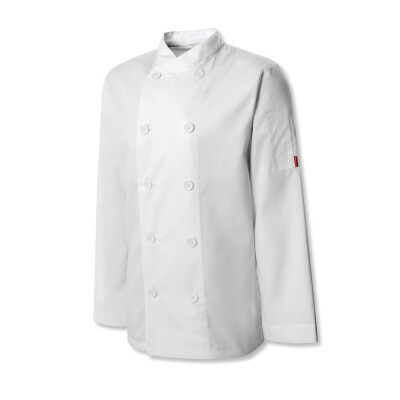 A Premium Long Sleeved Chef Jacket With Coolmax Side Panels. An Executive Short Sleeved Chef Jacket. 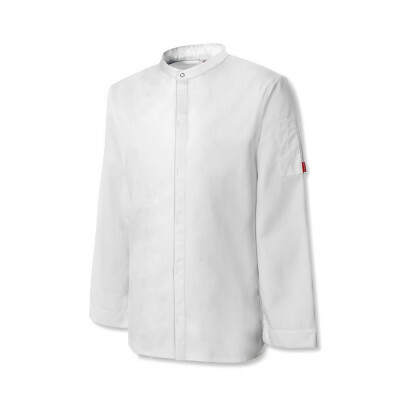 An Executive Long Sleeved Chef Jacket. 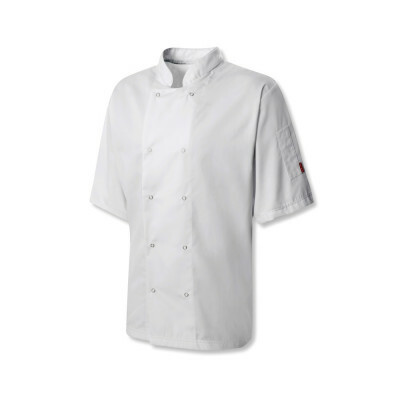 An Executive Short Sleeved Chef Jacket Made From The Finest Materials. 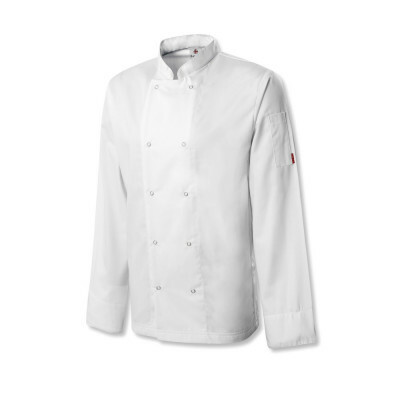 An Executive Long Sleeved Chef Jacket Made From The Finest Materials. 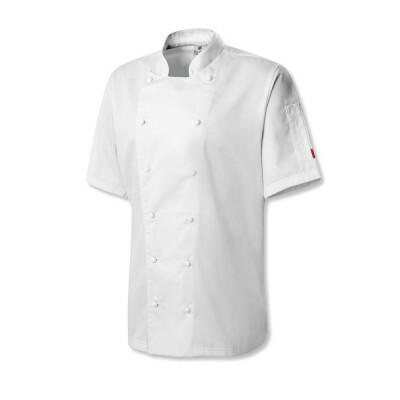 Our range of British designed and manufactured chef jackets are at the very heart of what we at Oliver Harvey do. This is the quintessential piece of clothing which defines what it is to be a chef and we put all of our experience into creating only the very best jackets. Every jacket has its own story, its own reason for existence and its own role to play within the range of chef jackets as a whole. We aim to provide the right mix of quality, function and style across every price point and keep the range large enough to cater for differing tastes while still small enough to remain an intimate collection of unique styles. One of the most important commitments we make as a company is to only ever manufacture our clothing within Great Britain. 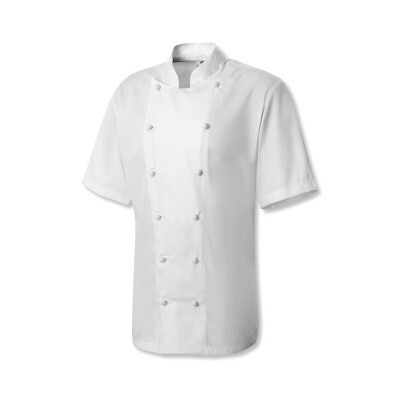 Many other manufacturers neglect to fully control and supervise their clothing at each step of production, at Oliver Harvey we believe there is nothing more important than these steps as it is the quality of our chef jackets that we rely on to exist. Every jacket, no matter whether it is the £18 Cheshire or the £95 Dorset is cut, sewn and inspected with as much attention to detail as any chef would give a plate of food on his pass. 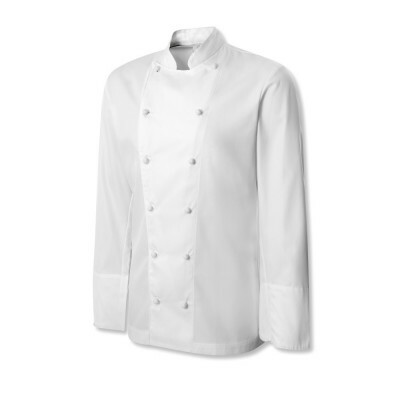 The single most important step in making a great chef jacket is to get the right ranges of fabric and materials. Of course, these are not made in Great Britain but instead we ensure we ethically source the highest quality fabrics from across the globe. Everything after the fabric is done in our south Manchester factory. We only use four main fabrics for our range of jackets to ensure that we can adequately test their qualities. The fabrics are a PolyCotton blend, a Cooltex PolyCotton blend, a pure Egyptian Cotton and coolmax mesh material. Each one provides a slightly different quality to our jackets and all of them are designed to withstand industrial laundry and maintain their quality long term. 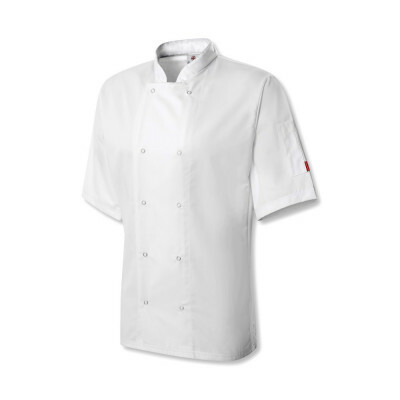 Within our range of chef jackets there are both long and short sleeve versions of every style in order to provide you with one of the simplest yet most divisive choices amongst chefs! 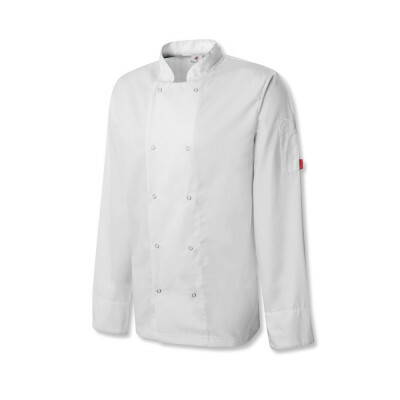 You will also find a choice of fastening styles on our chef jackets with everything from press studs, plastic buttons and fabric buttons being available on one or more jackets. Every jacket also features a double pen pocket for an added functional touch. Economy Delivery - 5 Working Days. Under £25 = £5. Over £25 = FREE. Express Delivery - Next Working Day. Under £25 = £10. Over £25 = £5. Over £150 = FREE. Express Delivery 10:30 - Next Working Day before 10.30am. Under £25 = £25. Over £25 = £20. Over £150 = £15. Saturday Delivery - Saturday Delivery. All orders = £30. Express Delivery options are only available on items where we have stock for express delivery. This is indicated on product pages and at the checkout with a tick icon. Personalised orders are delivered within 10 working days (upon sign off of logo if applicable). Non-standard orders are delivered within 5-10 working days. Non-standard items include: certain chef shoes (as stated on product pages), t-shirts and polo shirts, shirts and blouses and accessories. International and Non-UK Mainland orders will take an additional 2-5 working days on top of the above depending on destination country. Ireland orders above £150 are free. Orders below £150 will cost £10 (ex. VAT). Delivery prices for International orders range from £10-60 depending on location, these prices will be shown at the checkout when you select your destination country. You may be liable to pay an import tax from your host country, your local government office will be able to provide details. All our orders are tracked and shipped quickly by DPD. We use SagePay to ensure your payments are safe and secure. Copyright 2018 Oliver Harvey. All rights reserved.